KenWid10 asked the Antivirus & Security Software forum how best to send encrypted information to someone over the Internet. A truly private message must be encrypted before it leaves your computer, and remain encrypted until the recipient receives it. To complicate things further, you can't assume that the recipient is any more tech savvy than that uncle who freaks out when you open a new tab on his browser. The .zip format's default encryption standard, ZipCrypto, could probably be hacked by a duck. And while most up-to-date zip programs support much stronger, 256-bit AES encryption, not everyone has one of these programs. Most users rely on Windows's native .zip support, which doesn't support AES. Both you and your recipient will need a .zip program that supports AES. And no, you can't create an encrypted .exe file and mail that; many email programs won't allow you to send or receive .exe files. Among the programs that support AES are the industry standard WinZip and the free 7-zip. 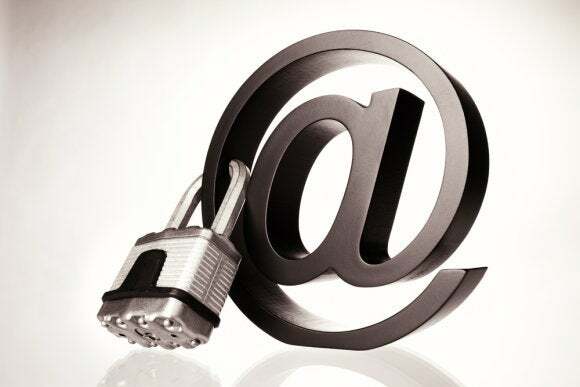 Be sure to use AES encryption when mailing confidential information in a .zip file. Shown here is 7-Zip. The other caveat: You and the recipient have to share a password, and emailing the password isn't safe. The best passwords for this situation include shared information. For instance, if you're sending tax forms to your accountant, you can use your social security number, which he or she already has. Or you can try a solution that doesn't require special software or a shared password. To my mind, the best such solution is a cloud-based service called Sendinc. To use this service, both you and the recipient must have Sendinc accounts. Joining is easy, and unless your messages are larger than 10MB each, or you're sending more than 20 of them a day, a free membership will do. If you send a message to someone who doesn't have a membership, they'll be invited to sign up. 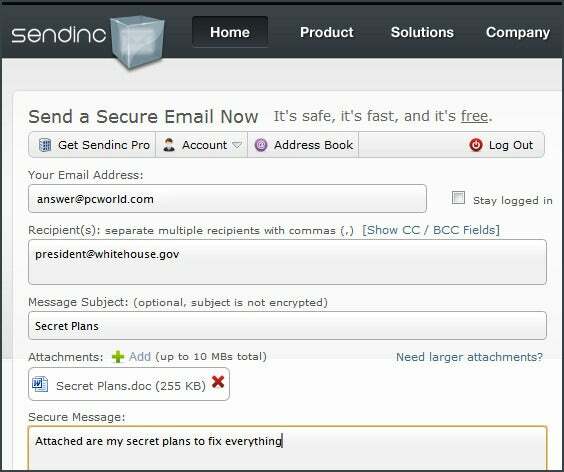 Sendinc uploads and downloads encrypted information via SSL (the same technology used by banks and shopping sites). Your messages remain encrypted on the Sendinc server, with a unique password per message, until they are destroyed after seven days. During that time, they will only be decrypted for delivery (via SSL) to the recipient. But whatever method you choose, remember that your security is only as good as your password. Come up with a strong one that no one is likely to guess.